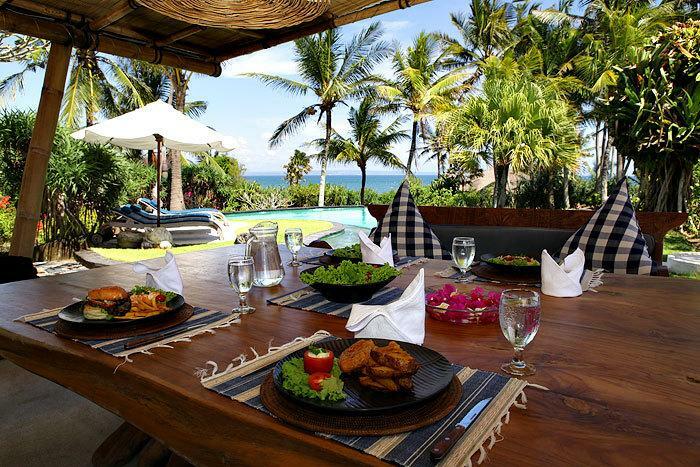 Villa 3210 is a truly magical beach villa resort nestled between the Seseh's stunning Indian Ocean beach and lush green rice terraces. 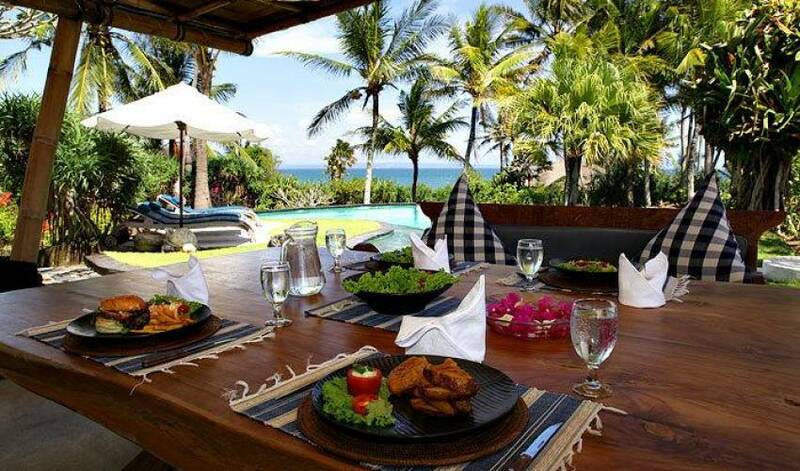 Our beach front villa resort offers a spacious, fully staffed 4 bedroom beach villa, 2 bedroom beach villa and 1 bedroom beach villa with traditional Indonesian architecture, private pools and a fully equipped kitchens. 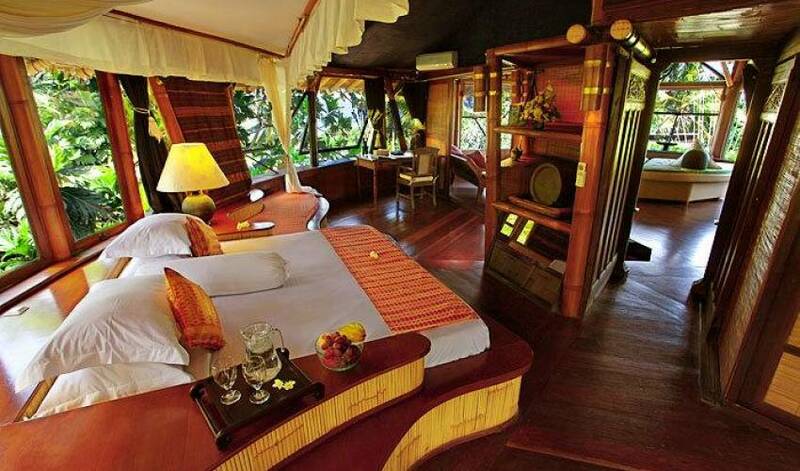 Facilities at each beach villa include free internet, satellite television and a home entertainment centre. 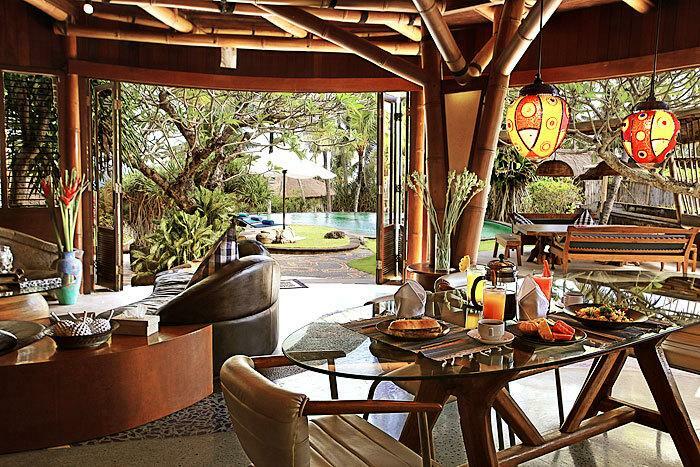 Villa 3210 is close to many of Bali's main attractions including Tanah Lot Temple and the Nirwana Golf and Country Club (voted one of the best golf courses in Asia). 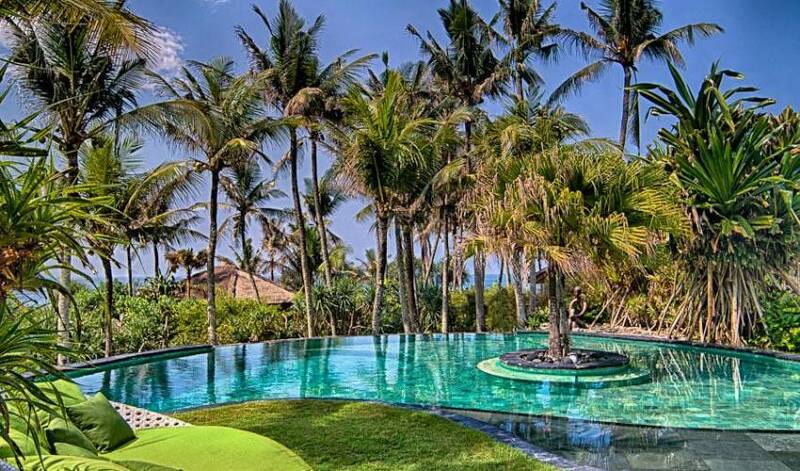 Bali's main entertainment area of Seminyak, with its chic restaurants and boutiques is only 20 minutes by car from our beach villa resort. 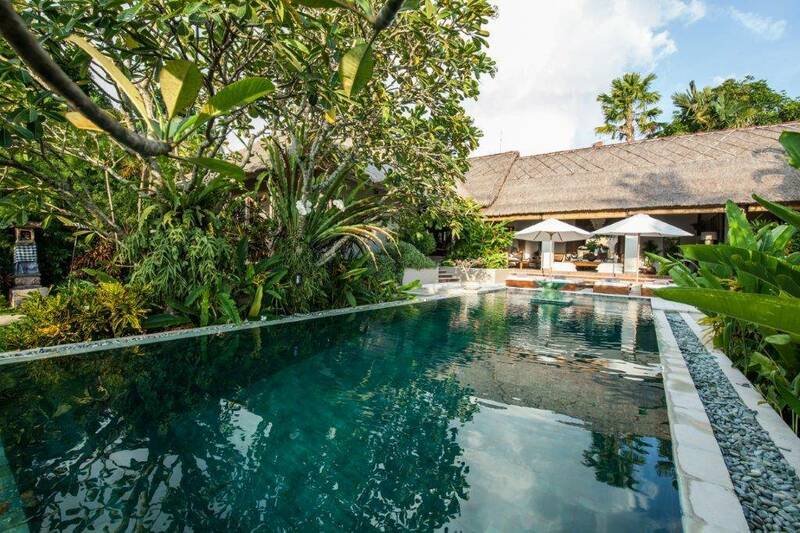 Canggu Villa 3210 is proud to offer a grand 4 bedroom beach villa, set within the grounds of our truly magical beach front villa resort in Seseh, Bali. 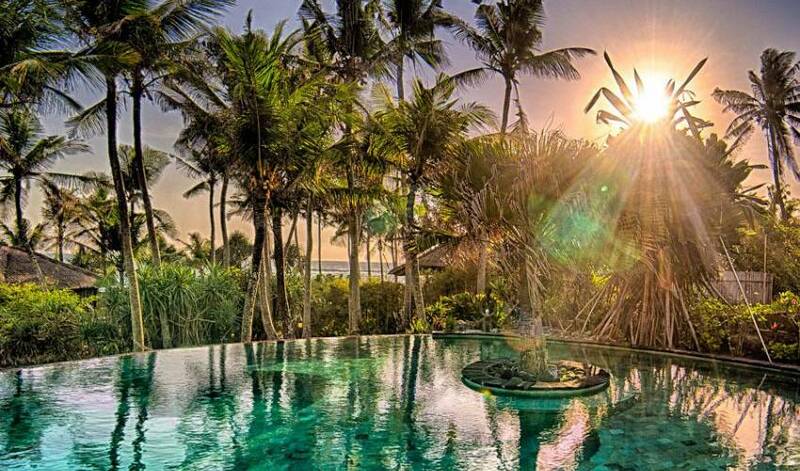 Nestled between Seseh's beautiful Indian Ocean beach and stunning rice fields we offer a spacious, fully staffed 4 bedroom beach villa with modern Indonesian architecture, a fully equipped modern kitchen, a private pool overlooking the Indian Ocean and direct beach access. 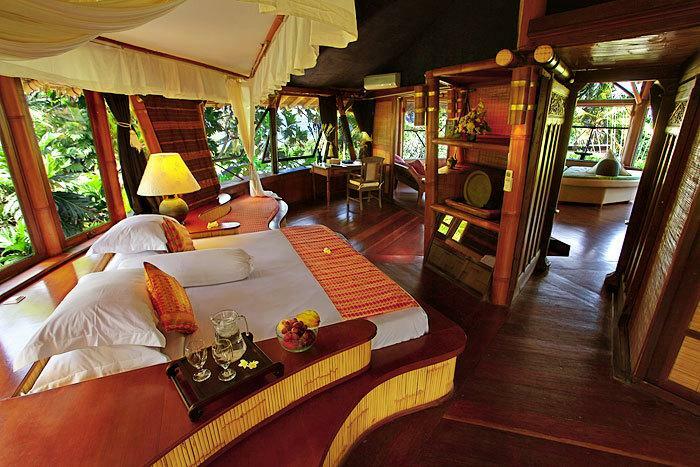 Each bedroom at our 4 bedroom beach villa is decorated in an exotic chic style and features king sized beds, en suite bathrooms, large wardrobes and storage, daily servicing and turndown service, fresh linens, flowers and fruit daily. Bathrooms have stunning views of the ricefield of Seseh and amenities and towels are refreshed daily. The downstairs bathroom has a large bath and a flower petal and aromatherapy bath is arranged for the night of your arrival. Our friendly and attentive staff will take care of your every need and ensure that you have a truly relaxing experience with us. 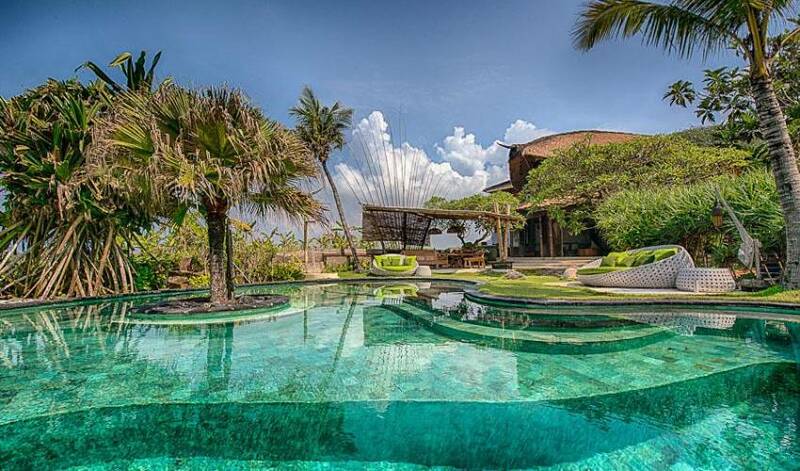 The 4 bedroom beach villa in this beachfront villa estate has been featured in a number of books and magazines including Bali Living, Bali Style and the cover of Island Property and Living. 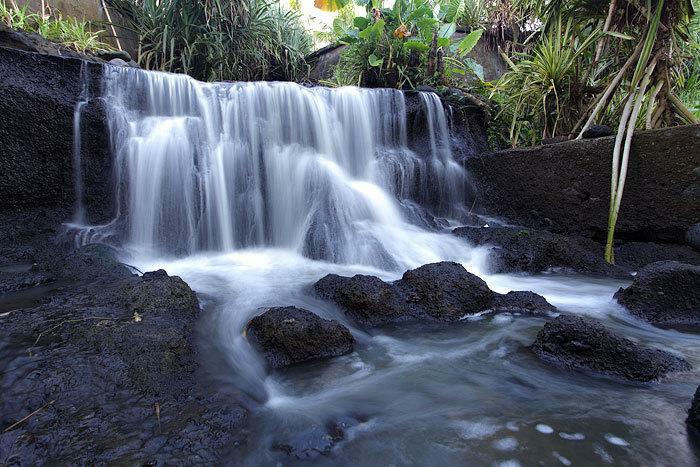 It is the ideal location to explore Seseh and the real Bali. 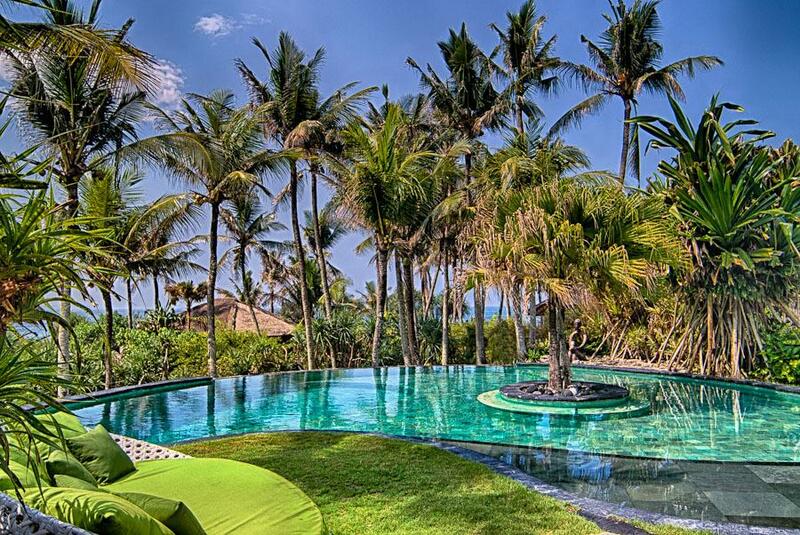 We believe that this is the best 4 bedroom beach villa Bali has to offer. 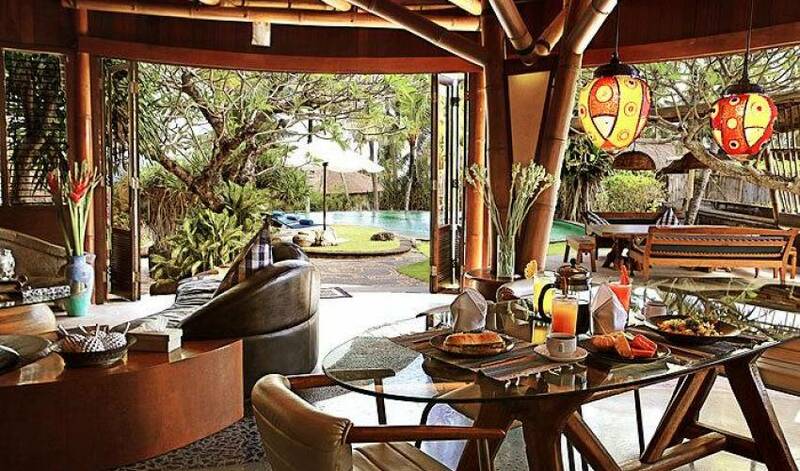 Whether you need a magical family vacation, a holiday with friends or a family reunion, the 4 bedroom beach villa offers a once in a lifetime experience to take home with you. Seseh has picture postcard moments and scenery. Travellers to Seseh are likely to see the drying of newly harvested rice husks on huge rattan mats covering the sides of the ricefields and in the village. Another common sight is the shepherding of hundreds of ducks down the winding country lanes by a single farmer using only a long bamboo cane. Truly one of many photo opportunities. Seseh Beach is revered by the Balinese as a sacred beach and although you are unlikely to see a sole on the beach for most of the year, once a year the beach comes alive with a festival of white and gold as the celebration of Melasti begins. Held 3 days before the Balinese New Year in March on only a small number of sacred beaches, long processions of Balinese in beautiful traditional white and gold attire make their way through the winding country lanes to the beach to perform centuries old ceremonial rituals. A truly unique experience and something that few travellers will ever see. Seseh is also notable for its great surfing and with Echo Beach about 2km South of Seseh surfers have a good choice of surf breaks to enjoy. 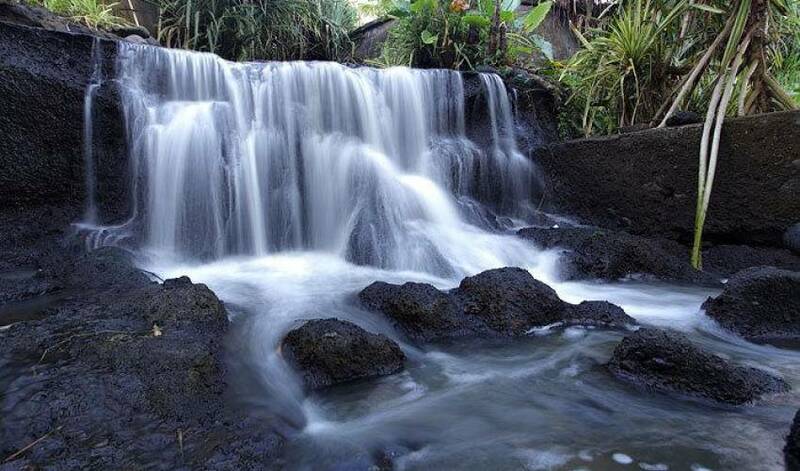 More than anything Seseh is a superb location to explore the cultural heritage sites for which Bali was once famous. Indeed it likely that 1st timer travellers to Bali will expect to see the Bali of picture postcards, a magical island of lush green scenery, towering ornate temples and sandy beaches. It is disappointing that in recent years the picture postcard heritage has been forgotten under the rapid concrete expansion of the Kuta and Seminyak areas and 1st time travellers to Bali staying in these areas will often be shocked and disappointed to find a Bali more akin to Kuala Lumpur or Bangkok than an idyllic castaway island. However the Bali of dreams still exists and those that choose to take the short journey to Seseh, Taman Ayun, Jatiluwih and other such sites can certainly consider themselvesadventure minded global travellers. 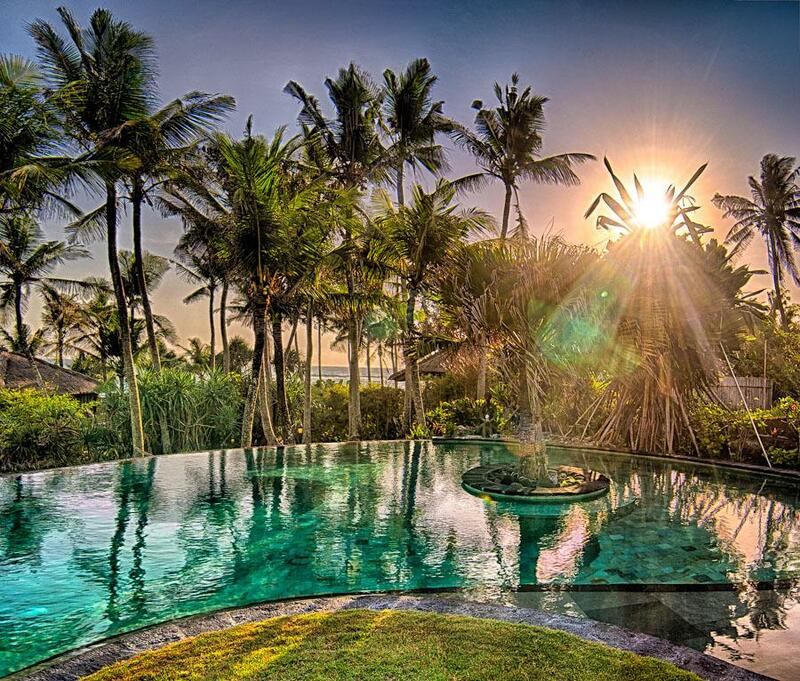 Seseh is, and is the perfect location to see, the REAL Bali. We pride ourselves on our great service and indeed, judging from the feedback of our guests, our services are valued by our guests too. We have a dedicated team of fully trained staff ready to serve. Our staffing includes a professional chef, a personal holiday assistant, housekeeping staff an on-site maintenance team. Villas are cleaned and serviced daily. All linens and towels are refreshed on a daily basis and all rooms have fresh flowers and all living rooms have fresh fruit. We have a dedicated maintenance team on hand 24 hours per day to fix any problems that may occur. Our Villa estate has 24 hour security. Locally sourced organic ingredients. Our ingredients are locally sourced and organic and we take a healthy interest in cooking healthy and delicious food. Indonesian and Western. We offer an extensive menu of Western and Indonesian cuisine. Special occasion. Dinner party for 20, no problem. Romantic sunset dinner on the beach, no problem. Barbeque or party no problem. Just speak to our staff and let us do the rest. Children’s favourites. We understand that for parents, worrying about whether their children will eat whilst on holiday is a genuine concern. We have a fun menu of children’s favourites and table games for children to keep them happy. Off menu. We can cook any food that you purchase for a small surcharge. Babysitting and childcare. A babysitting and childcare service is available on request. Helping hands. Staff are always on hand to keep an eye on children and to help out when needed. 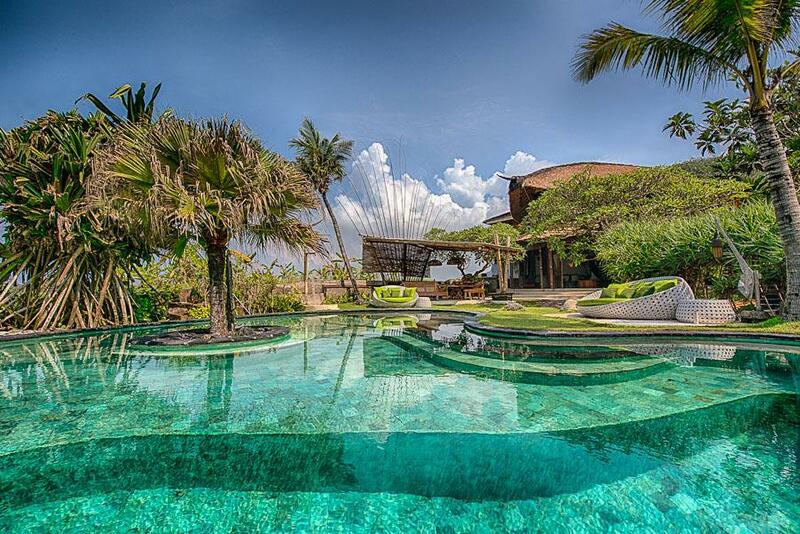 Pool fencing. Pool fencing available at the 4 bedroom villa. 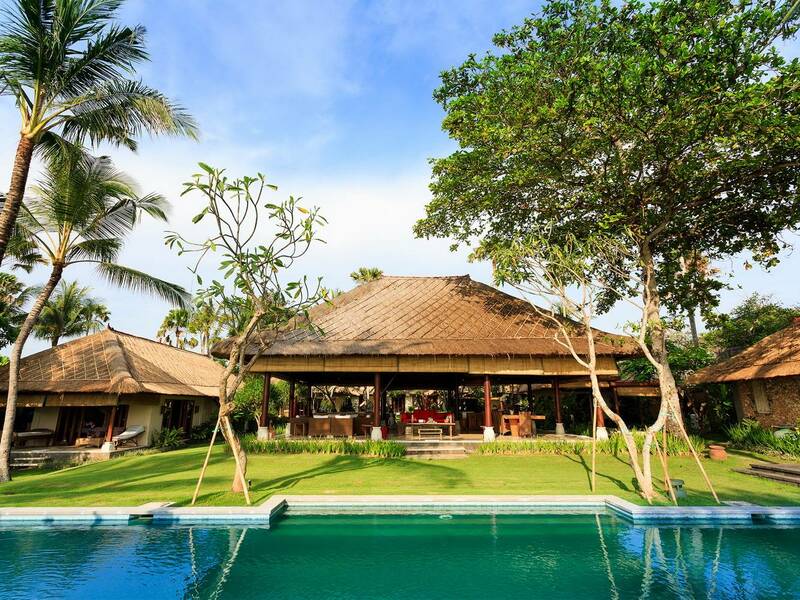 *Please note, this villa features a traditional Balinese style roof & enclosed living area.